Capital CDC recognizes the importance of working closely with and contributing financial resources to organizations like the Northwest Texas Small Business Development Centers, whose staff mentor small business owners in Northwest Texas. This week, Capital CDC presented a check to the Texas Tech University SBDC (a sub-center of the NWTSBDC) in Lubbock, Texas - home to our West Texas Business Development Officer, Jason Bigham. 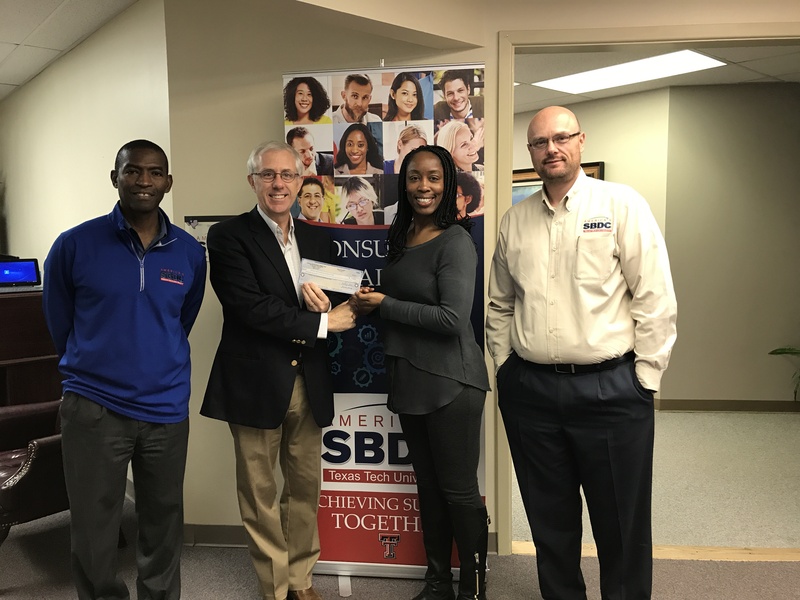 The funds donated help the SBDC's to continue to offer free counseling services to small business owners as well as free or low-cost training/seminars. Please visit their website here for more information if you are located in the Lubbock area or find your Northwest Texas sub-center here! (Pictured: Dexter Sykes- Senior Business Consultant, Jason Bigham - Capital CDC West Texas Business Development Officer, Adrien Bennings - Regional Director, Ray Laurent - Senior Business Consultant).